Designed for small and mid-range vehicles, the Kinergy Eco² (K435) provides high levels of efficiency without sacrificing performance. This tyre achieves enhanced safety in wet conditions thanks to wide lateral grooves which work to rapidly disperse water for enhanced aquaplaning resistance. This tyre provides low rolling resistance thanks to its optimal high grip silica compound, resulting in lower fuel consumption for a more efficient drive. 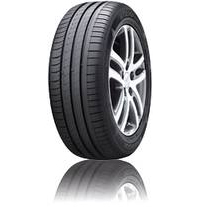 The Kinergy Eco² (K435) features an asymmetric pattern design which retains tyre stiffness for improved handling. In addition, precisely designed block sizes work to reduce tyre noise for a more comfortable driving experience.